The second wave of SEGA 3D Classics are finally making their way to North American shores. 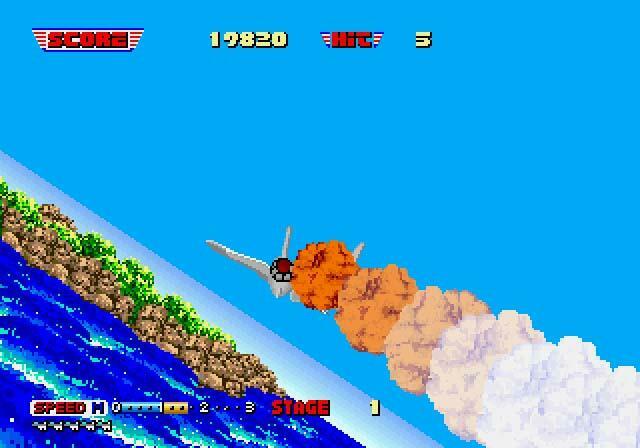 3D After Burner II is first up after being scheduled by SEGA for release on the Nintendo 3DS in early 2015, and the rest of the line-up will follow. By far, my favorite of the bunch is 3D Out Run, SEGA's classic arcade racer finally given a modern day treatment that it deserves. This second batch of classic arcade games also includes 3D Fantasy Zone, 3D Fantasy Zone II and 3D Thunder Blade. For those who missed the first round, developer M2, often heralded as master wizards of the emulation world, did more than enough justice to the wonderful SEGA classics including Space Harrier, Super Hang-On, Sonic the Hedgehog and Streets of Rage. It's hard to call these the "definitive" versions of these games considering they are stuck on a handheld, but as far as I can tell, they are as perfect as arcade ports come with a host of new options to shake up the experience. Pick them up, and be sure to ask for more. The Nintendo 3DS is a prime place to enjoy classic arcade games beyond just the SEGA library, and there is still so much out there. Any other classics you'd like to see remade in 3D by M2? I would love to play an updated version of Splatterhouse on my Nintendo 3DS.